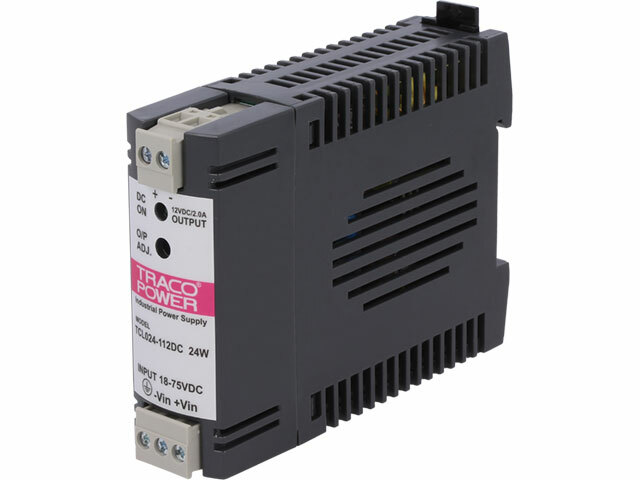 TRACO POWER's TCL-DC series includes six DC/DC converters for DIN-rail mounting. Thanks to their wide range of supported input voltage they can be used in most popular automation systems. These converters allow for precise control of output voltage and are safeguarded against overloading and short circuiting.